A new report shows that over 50 percent of the Gen Z demographic—the largest generation in the U.S.—is interested in pursuing a career in hospitality. 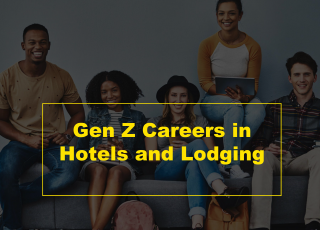 Commissioned by the American Hotel & Lodging Educational Foundation (AHLEF) and conducted by BW Research Partnership in collaboration with Hcareers, the study examines the perceptions, attitudes and career preferences of Gen Z as they gear up to enter the workforce. The study also showed that Gen Z values companies that take care of their employees, the hallmark of an industry that takes care of their people. Hcareers is the largest hospitality talent source (and job board) and in North America that has been serving this burgeoning industry since 1998. It is a real-time, tech-first, hospitality focused solution for both employers (and candidates) that is run by an experience team of professionals who are whole-heartedly focused on addressing the industry’s greatest challenges, which are talent acquisition and career management. If you are looking to secure the best talent in the industry. Search for the latest job openings in hospitality! Powered by hospitality jobs leader HCareers, this comprehensive database is the premiere industry job board and features the latest job postings across all levels and segments of hospitality. As an AHLA member, you can leverage the Career Center to access and advertise openings to a large, targeted audience, making it easy to identify and enlist potential staff. Additionally, as an AHLA member, you receive a special 20 percent discount on Hcareers services.